How poorly-made footwear test samples can impact in a costly way on a factory’s often-tight production schedules. During the development of footwear, samples will be made for a variety of reasons. If such samples are for testing purposes, it makes sense that they will be manufactured using the specified materials and method of construction to make them as close to production quality as is feasible. As well as the importance of testing, this article has been written to raise awareness of the importance of the sample being constructed with testing in mind. SATRA receives and tests many thousands of materials, components and shoes every year. Upper materials, linings, solings, bottom components, trims, textile accessories and whole footwear are received every day by members of staff in our testing laboratories. Most requests are for the appraisal of new materials, constructions and designs, in order to confirm their fitness for purpose. The aim is to provide a short turnaround and results in a timely manner. However, sometimes testing is delayed because an insufficient quantity of the items has been supplied. In addition, there are a surprising number of samples submitted for testing which have issues that can affect or delay the test results. These problems are quite often highlighted before testing commences, so the details can be communicated to the customer in a timely manner. Despite our best efforts, however, some issues which are contained or out of sight and hidden within the construction are not found at an early stage. In some cases – where questions are raised either by members of the laboratory staff or the customer – there are ways to investigate. For example, SATRA has an X-ray machine that can reveal certain details – such as shanks, metallic stitching for antistatic properties and coring of the sole unit -– but it is cost-prohibitive to look at every sample in this way. The vast majority of samples are made so that the aesthetic properties of the footwear can be considered, and so they are not intended to be entirely functional or durable. Nevertheless, when submitting a product for testing purposes, it is vital that the sample is made as closely to the actual production process as possible. Even when it comes to fit testing, the correct last must be used or the data and information gained will be misleading. Issues can be costly in both time and money. Some tests take time, especially when they are done on whole footwear. Specifications are produced for a reason – for example, in footwear designed to be water-resistant, all the upper materials should be specified as non-wicking. Even components such as threads and laces can cause a product to fail. If the purpose of testing is to provide evidence as to the ultimate performance of the product, then it is the attention to such detail that will ultimately be the difference between ‘average’ performance and something a little more special. One of the earliest examples of this problem was experienced at an exhibition stand. A customer had arranged to drop in a sample of a safety boot destined for an ISO 13287 slip test. This was a new member company which had joined to gain access to slip expertise, having had a long history of test failures at another laboratory. The product was initially examined, and the SATRA expert informed the customer that it was very unlikely to pass. The reason for this was the boot did not have a shank and the resulting lack of structure would almost certainly result in a fail. The following day the customer returned. To his relief, he had discovered that the factory samples were always devoid of shanks, and that this was the source of the issues. Normal practice was that the samples were dispatched direct to the laboratory from the factory, and the customer never actually saw these items. The laboratory technicians simply tested what they were sent, so the issue was never identified. The development focus was mostly directed at the compound and tread pattern of the sole, with the assumption that the tested samples were made complete. This kind of incident is a serious problem that can cost a considerable amount of time and money, delaying product development and ultimately affecting profits. In the situation just mentioned, testing results were used to develop new tread patterns and change compounds when in fact, they were perfectly satisfactory. There are three key factors that can help to avoid such problems. Firstly, communication with the sample maker is vital. He or she must have knowledge of the purpose of the sample. If it is for testing, this needs to be communicated – remembering that the sample maker may be in another country and not a native speaker of the customer’s mother tongue. The second key factor is version control of the specification. The sample maker should have sight of the specification and have a means, through a quality system, of being able to check that the latest version is being used. Thirdly, if results are not as expected, an incorrect assumption may have been made. These problems can often be compounded if there is a turnover of staff during the development process. The result of miscommunication is often to delay product development by at least several weeks while the problem is resolved, and new samples are made and shipped. The existence of tight development deadlines can mean missing the retailer’s delivery date. In order to raise awareness, SATRA has compiled a list of issues encountered on a regular basis. The purpose of the examples is to help guide customers with a checklist. The list is not exhaustive, but it is aimed at developing the habit of looking for the indication that may identify these types of issues. Staples are often used for the convenient attaching of information that identifies the sample. We often see labels attached to products by means of staples placed through elastic components, which will damage the elastic threads. Staples have also been found in the sole units of footwear destined for water resistance testing. Membrane booties require care and time to manufacture. However, shortcuts are sometimes made in order to speed up sample production. Occasionally, the bootie has not been seam-sealed to save time which, of course, means that it has never been tested. Booties should be checked for integrity before they are incorporated into footwear, especially if the footwear is to be tested for water resistance. This is quite hard to identify in the finished product. On occasion, again to save time producing the samples, the bootie has been found to be missing entirely. 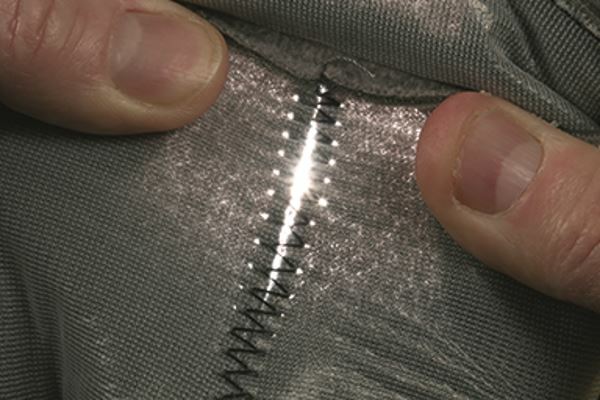 In general, the process of seam sealing is often skipped during sample production, because it is time-consuming. This is, of course, an important part of the production if the footwear is to be later tested for water resistance. As already mentioned, attention to detail is important in water-resistant footwear. Threads, laces and interlinings should be according to specification and, if made from leather, the use of poor-quality offcuts for components like back straps and bellows tongues should be avoided. This could lead to failure caused by wicking. 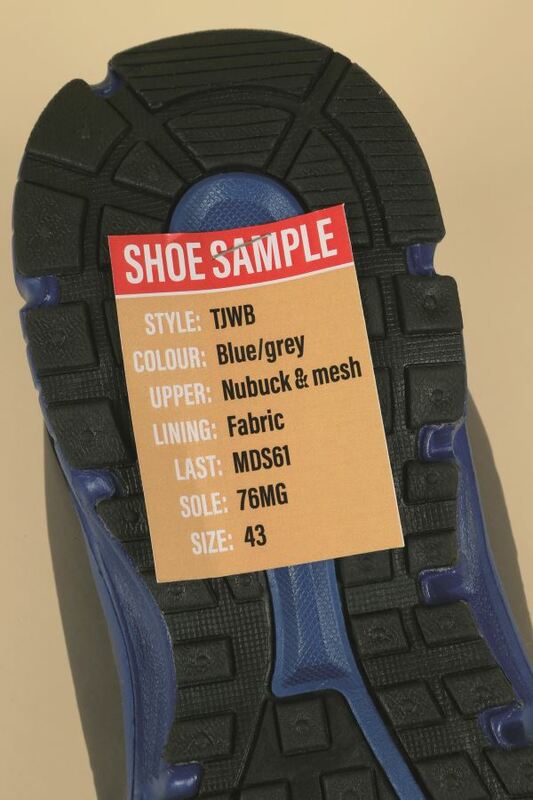 Also affecting the results of water-resistant testing, anti-static properties are often achieved by using several lateral lines of anti-static thread through the forepart of the insole. If the design has a bootie, the thread needs to penetrate through the bootie. The resulting holes need to be sealed – often using a conductive mastic material. If this is missing, the sample will fail in water resistance testing. Such an oversight would also be very hard to detect on completed footwear. If materials are submitted for contact storage testing for colour migration, they should be packed in separate bags so that they do not come into contact with each other. On some occasions, sample room footwear has been submitted for heel attachment strength and heel fatigue tests while fitted with wooden sample heels. This is very difficult to spot until the test is carried out – especially if the heels are laminated with a material. The list of problems described in this article is just a small collection of typical errors observed at SATRA. 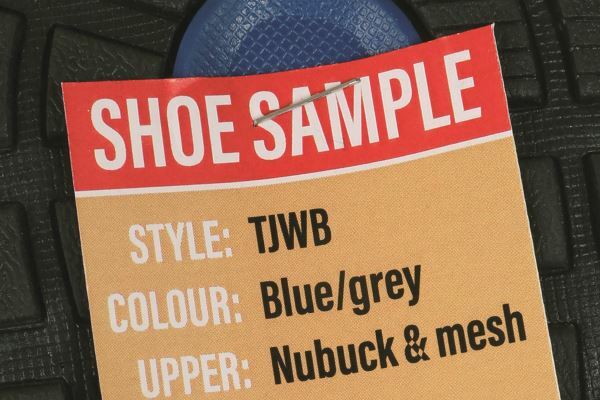 Please email footwear@satra.com to contact our footwear testing team consultants, who will be able to help and advise on the submission of samples for particular tests and applications. This article was originally published on page 8 of the April 2019 issue of SATRA Bulletin.